lechemusic: ¡Grace Jones – Williams Blood (Aeroplane remix)! Grace Jones remixed by Aeroplane, i needn’t say more right? One of the most eclectically inspirational female artist of our time. Download the track for free now. lechemusic: ¡A.N.D.Y. & Vicente – El Barrio lechestyle: Persol La Dolce Vita shades! Difficult to choose between the original and the remix by my fellow Helsinki natives Jay Lamar & Jesse Oliver. I’m going to post the original as the remix by Jay and Jesse has received so much publicity in the last few days. Be sure to enjoy them both, cool 80’s synth electro, very tasty. I think I’ve found my favorite sunglasses. 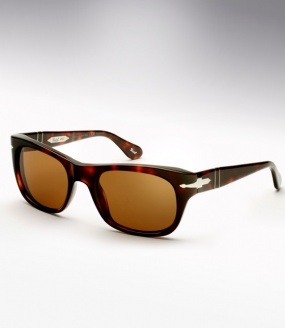 Persol’s tribute shades to Fellini’s La Dolce Vita are exactly what i have been looking for, turtle vintage quality. lechemusic: ¡Charlotte Gainsbourg – Anna (Moonlight Matters remix) lechestyle: Vintage turtle frames! I have been wwwindow shopping for new glasses for quite some time now. These ones below really caught my eye as i have been looking for a pair of vintage turtle styled glasses. I don’t want the frames to be too thick so these feel like a good compromise. They are featured on a webshop called theoldglassesshop.co.uk which has a lot to offer when it to comes to stylish eyewear. While you’re browsing for your next pair of vintage glasses check out Moonlight Matters remix of Charlotte Gainsbourg’s Anna. Italian Vintage classics ! Acrylic Designer eyewear – The Old Glasses Shop. Vintage Anglo American style designer glasses – The Old Glasses Shop. VERSACE V22 classic 60s Vintage glasses – The Old Glasses Shop.